Stand on the edge of the cliffs that line the Big South Fork of the Cumberland River and a few of the small streams flowing into it between Leatherwood Ford and Station Camp, and it isn’t hard to imagine the Cherokee Indians that once inhabited these lands before the white man arrived standing on the rock outcroppings, scouting the river valley below. 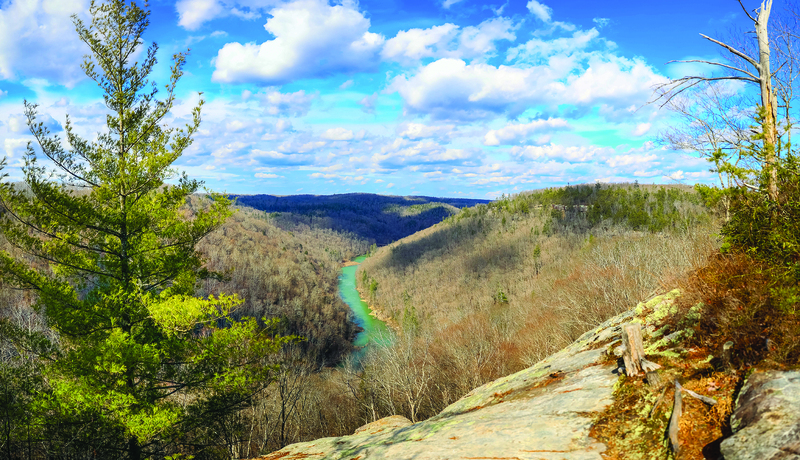 When it comes to aerial views (from foot) of the Big South Fork, it’s hard to beat any one of the dozen or so marked overlooks scattered about the rim of the gorge north and south along the river. 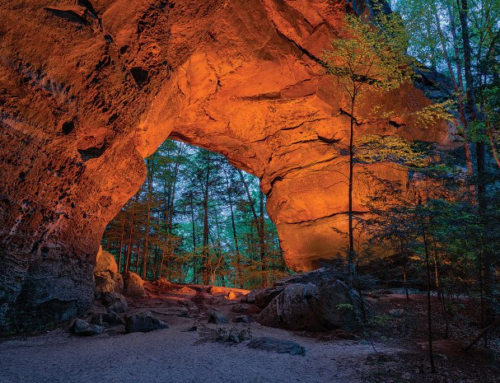 But if your idea of taking in the scenery and getting away from the day-trippers that head to places like East Rim and Blue Heron, it’s hard to beat a hike along the Grand Gap Loop. A 6.8-mile loop trail along the west rim of the river gorge, Grand Gap Loop offers views that are simply spectacular — especially during the winter months, when there is no foliage to limit visibility. 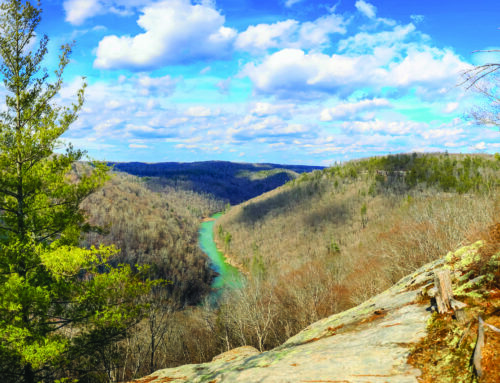 Named after Grand Slaven, who lived nearby, Grand Gap was one of the few access points from which residents and other travelers could leave the plateau and reach the Big South Fork River, an elevation change of nearly 500 ft. and often lined by sheer cliff lines. The hike itself is relatively easy, with no major inclines or rough terrain. Compared to several of the other trails the park offers, it’s a leisurely stroll, though a little difficulty can be added by approaching the loop trail from Leatherwood Ford, and a little length by approaching it from Bandy Creek. The highlight of the loop trail is Angel Falls Overlook, which offers probably the most spectacular view in all the 115,000-acre park. From the rock outcropping 500 ft. above the Angel Falls river rapid, visibility extends several miles up and down the gorge, offering scenery that is eye-popping in any season. The overlook is just one of a number of spectacular gorge views along the route. The loop trail is accessible by vehicle along the graveled multiuse road behind Bandy Creek Campground, but there is no marked trailhead. The nearest trailheads are at least three miles away. 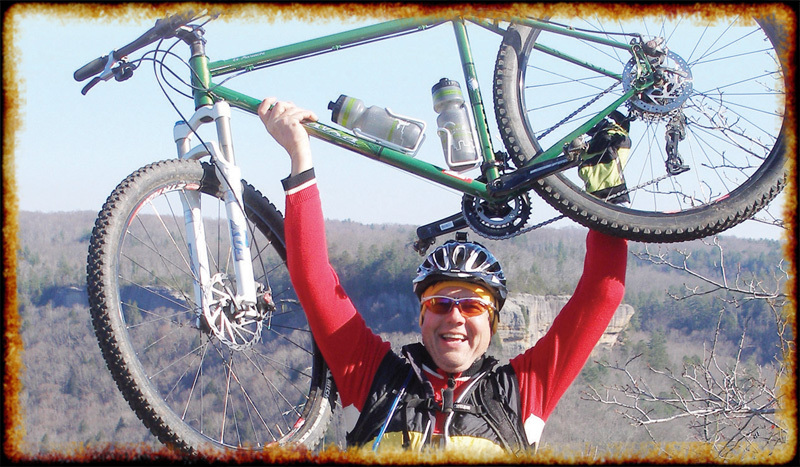 Some other considerations: On weekdays, the trail is shared by mountain bikers. 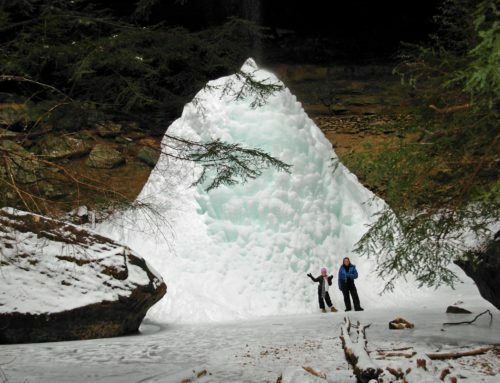 For camping hikers, there’s no source for water along the route. And the trail often travels alongside the sheer cliffs, which are unprotected. 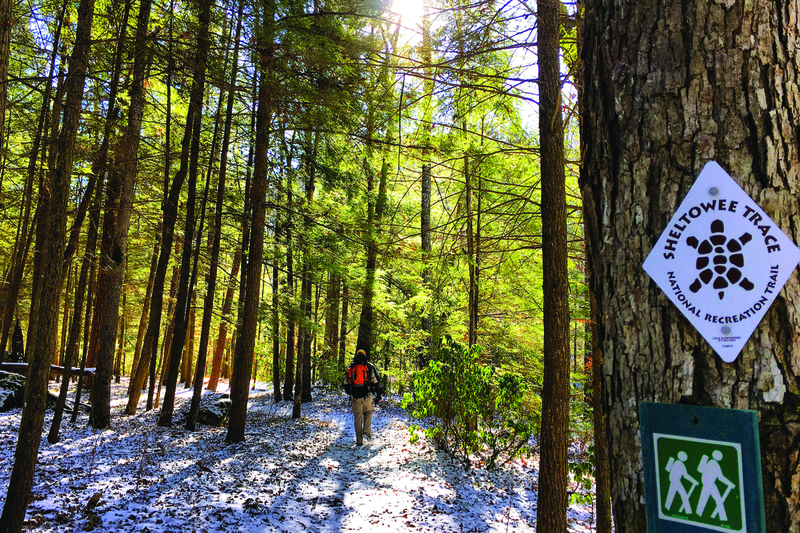 The best ways to hike to Grand Gap Loop are from the trailheads at Leatherwood Ford and Bandy Creek. 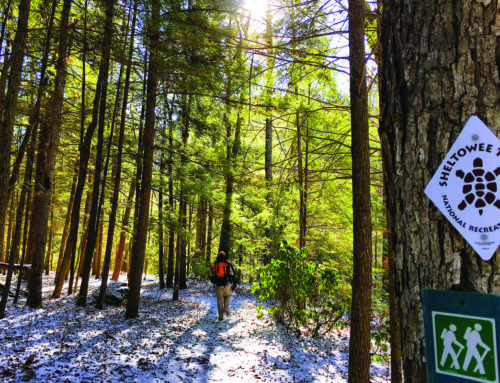 The Leatherwood hike makes it a 12.4-mile trek (2.8 miles each way from Leatherwood Ford to the loop trail at the top of the gorge), while the Bandy Creek hike makes it a 17-mile hike (5.1 miles each way from Bandy Creek to the loop trail). 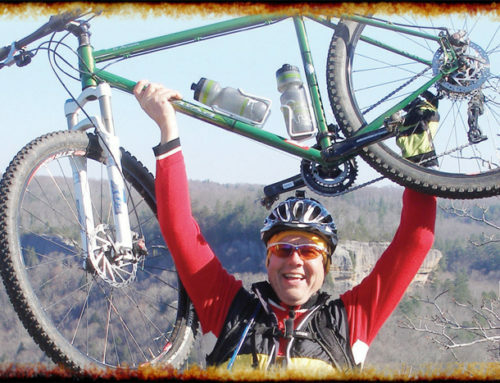 For even more spectacular views of the river gorge, the John Muir Trail exits Grand Gap Loop and continues along the western rim of the gorge, eventually descending to the river bottom at Laurel Fork Creek near the Station Camp crossing. 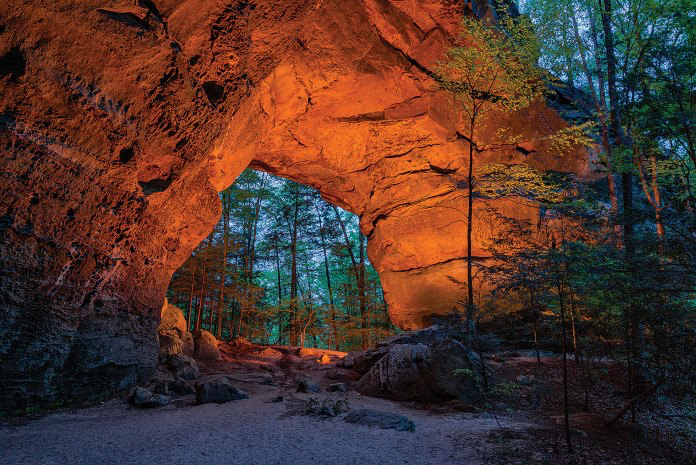 The John Muir Trail begins at Burnt Mill Bridge in the southern section of the Big South Fork and traverses much of the park before ending at Pickett State Forest (sans an uncompleted segment between the Honey Creek Loop Trail and O&W Bridge).